The next Everglades Challenge is Saturday, March 07, 2020. There is an equipment inspection Friday, March 06, 2020. Cost is $445.00 for the captain and $445.00 for a crew member if any. 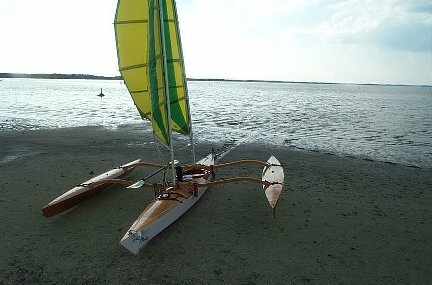 Completion of an Everglades Challenge within the last Ultimate Florida cycle satsifies the entrance requirement for the Ultimate Florida Challenge. For example, completing EC2014 or EC2015 allows entrance into UF2016. Registration ends January 31 at noon. Payment Deadline is January 31 at noon. Due to the exteme commitment for this race late registration and/or late payments will not be allowed. We recommend that you commit to this race early so you have plenty of time for planning, training, and preparation. Pay early in the payment cycle. You can get a full refund up until January 31 at noon. No refunds after that date and time. All WaterTribe events are dangerous events as defined by Florida law and common sense. You are responsible for your own safety. You must read and understand the warning before you register for this event. The Everglades Challenge is an unsupported, expedition style adventure race for kayaks, canoes, and small boats. The distance is roughly 300 nautical miles depending on your course selection. There is a time limit of 8 days or less. Your safety and well being are completely up to you. Unsupported means that there are no safety boats or support crews to help you during the race. You are not allowed to have a support crew follow you or meet you during the race. It is OK to have family or friends meet you at the official checkpoints, but they cannot provide anything other than emotional support. See the official WaterTribe rules for more details. Expedition style means that you must carry the same type of equipment and supplies that you would carry on a major expedition lasting 4 weeks or more. Camping equipment, food, water, safety, communication, etc. is required. See the Rules and Warning link at the top of this page for the official required equipment list for more details. Although this is a race, many participants are more interesting in cruising and adventure. Whether you are a cruiser or racer is up to you. Just getting to the starting line is a major accomplishment and only about 40% of starters are able to finish. You should be an expert kayaker and/or sailor before you consider this challenge. You must obey all Everglades National Park rules. SPOT must be correctly used at all times. You must complete the entire WW as shown on their official maps. You can exit at Broad River and return via Broad Creek. Using the Harney River from the outside is not allowed. The Nightmare is an option. Some people say that taking the Nightmare is easier than negotiating Broad Creek from the entrance. The choice is yours. Once you have reached Whitewater Bay you may follow the marked route or take the Joe River or any other route to cross the bay and enter Tarpon Creek and the Buttonwood Canal. In some years challengers have taken the Hells Bay Canoe Trail to Tarpon Creek. Since this is marked on the official map, it is also OK.
You must portage your boat a short distance between the fresh water side and the salt water side at Flamingo. You cannot receive assistance from the Race Manager, CP Captain, or bystanders. Challengers participating in the event may assist other challengers (see the note below). SPECIAL NOTE 2: In some previous years we have provided a boat cart or other assistance for the short portage at Flamingo. As of EC2011 and beyond a boat cart will not be provided and all challengers crossing from the fresh water side to the salt water side must do this short portage without outside assistance. No cart will be provided. You must carry your own if you plan to use one. If bystanders want to help they cannot. However, other WaterTribers who are in the same event can help - see the ad hoc team rule. The Everglades Challenge follows the SW Florida coast line from Fort Desoto in Tampa Bay, Florida to Key Largo. You will enter Everglades National Park near Everglades City and you will be within their boundries until you get near Key Largo. You must follow all park rules and regulations. Note that the WaterTribe Marathon runs concurrently with the Everglades Challenge. The schedule mentions both races. Note that the WaterTribe Ultra Marathon runs concurrently with the Everglades Challenge. The following schedule mentions both races. Gear Inspection - Friday, March 06, 2020 Is Mandatory . Race - Saturday, March 07, 2020 to Sunday, March 15, 2020. Sunday 18:00 WaterTribe Ultra Marathon Finish Line. In the UM you should finish by noon. CP1 for Everglades Challengers. EC participants should also aim for noon or better, but you can pace yourself a bit if necessary. The race will start in Fort Desoto Park (the link shows a nice bird's eye view of the starting beach) located on Mullet Key in Tampa Bay, Florida. A large pavilion is reserved for all day Friday. Boats may assemble on the adjacent beach. All boats should be left on the beach above the high water mark Friday night. A guard will be posted. Friday afternoon there will be a captain and crew meeting which is mandatory. Your boat may be inspected for final class determination. If you can't make it to the normal equipment inspection on Friday, you should arrange another time. mailto:Chief@WaterTribe.com to make special arrangements well in advance. If you don't want to off load your boat right on the beach, there is a very nice boat ramp on Mullet Key. After you pass through the toll booth ($0.35 per car + $0.10 per axle) and go over the bridge, the ramp is on your right. Many cars are parked here for days at a time for extended fishing trips. 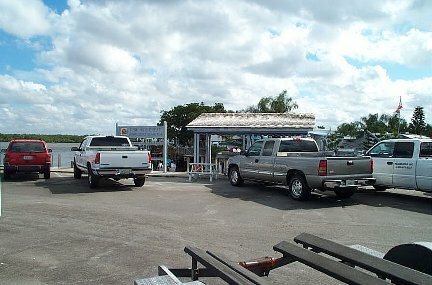 This is where you will leave your car and trailer if you don't get someone to drive it down to Key Largo. The lot is patrolled. Please note that none of us associated with the race accepts any responsibility for your vehicle or trailer or their contents. After you launch, you can sail around Mullet Key to the pavilion. The Lat/Lon of the pavilion and the beach adjacent to it will be provided in due course. 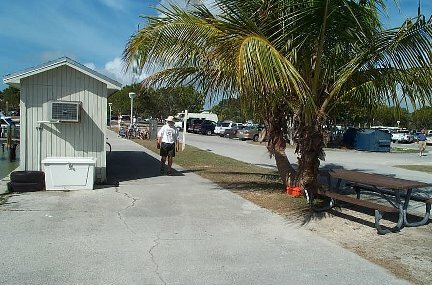 There is a very nice campground on Mullet Key. Sites 1-85 are designed for tent, van, and pop-up campers. Many sites are waterfront with room for your kayak or boat in your camp site. Reservation is VERY limited. Reserve your site as early as possible. Google Fort Desoto park for reservation information. 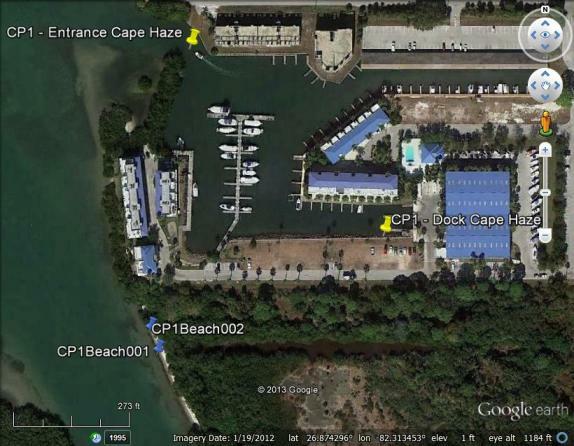 Cape Haze Marina is the first checkpoint for the Everglades Challenge and the finish for the Ultra Marathon. 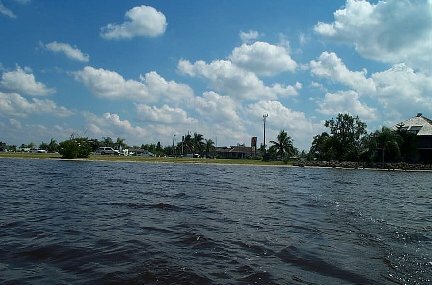 Roughly 60 miles along the coast from Tampa Bay you will come to Stump Pass which feeds into the Intracoastal Waterway. The Cape Haze Marina checkpoint is located a couple miles south of Stump Pass on your port side. Near Intracoastal Waterway Markers Red "8" and Green "9" there are private channel markers into Cape Haze Marina on your port side as you are heading south. After entering the marina, turn right just after the first set of docks. Turn left at the sea wall and proceed to the floating dock next to the rock sea wall. Sailboats can pick any open dock opposite the rock sea wall to tie up. SPECIAL NOTE - The beach landing is for Class 1, Class 2, Class 3, Hobie AIs, and Hobie TIs only. All other boats must go into the marina docks. Class 3 boats and Hobies MUST retract or take off their amas and akas. Also, if you will be at CP1 longer than 20 minutes, you must use a boat cart to move your boat up to the grassy area at CP1. The beach landing is located near marker Red 8. As you are heading south, turn left just after passing Red 8 and you can't miss the small beach landing. The landing and trail to CP1 is near an apartment building so BE QUIET when you land or launch. There are two docks shown near the bottom left quadrant of the picture. The one farthest to the left in this aerial shot (partially obstructed by a tree in this shot) is a floating dock that is the official checkpoint landing. Please do not use the dock next to it. Larger boats can tie up at any open dock opposite the grassy area and rock sea wall. There is no official time limit but try to make your stay at the dock as short as possible. There is plenty of room to pitch tents as needed in the grassy area next to the rock sea wall on the left side of the picture. We will have a boat cart for kayaks to help move your boat up to the tent area. Resupply is within a couple of miles and some shuttles will be available from time to time. Fresh water is available at the marina but you might want to filter for taste. We might have some bottled water for sale at the same price we pay for it. There is a shower, rest rooms and more. One of the toughest filters in the whole course is the hot tub and pool. It is recommended that you do not use these features because you may decide not to leave. Roughly 70 miles along the coast from Cayo Costa you will come to Indian Key Pass. The mangrove channel that leads to the fabled Everglades City. You are at that crucible that will weed out the Men from the boys; the Women from the girls; and Real Boats from mere puddle hoppers. There are strong tidal currents through these mangrove channels that can make grown men cry. A huge amount of water flows through these channels so current can be 2 to 3 knots or so. Another interesting phenomenon is that as the water level drops or rises various sand/mud/oyster bars are exposed or covered. Flow changes and currents become counter intuitive. Tide tables and local knowledge of how to interpret them will be published long before the race. Don't get too fixated on the tide problem right now. If the tide is too strong, you have two basic choices: wait or paddle harder. I plan to pitch my hammock on Indian Key, or thereabouts, and nap until the right time. Having warned you of the terror, I must remind you that this is a doable entrance that is used by kayaks, canoes, sail boats, and motor boats all day long almost every day. Some of our discussion forums have gotten carried away with the difficulty of this checkpoint -- thus the opening paragraph. 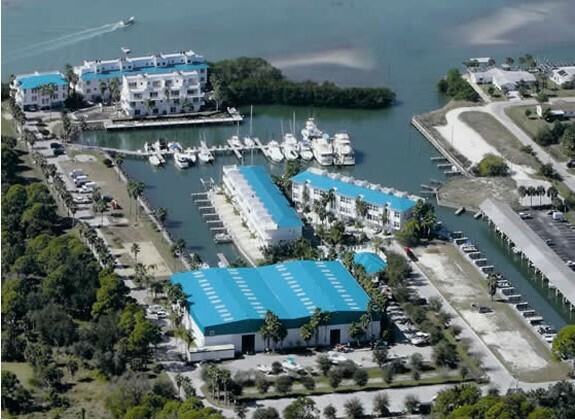 If you use Indian Key Pass to enter Everglades City and then use Chokoloskee Pass to exit Everglades City, you will minimize tide issues and the need for local knowledge. These two channels a wide enough and well marked so as to be considered "normal" navigation and difficulty. Some plan to take a detour and visit Watson's Place instead of take Chokoloskee Pass. This too should not present any difficulty for classes 1 and 2, but classes 3 and 4 may want to think real hard about trying this route. Big boats are cruising these channels so watch out. Some of them run at night with no lights. If you must travel these channels at night, keep lots of lights going on your boat and keep a strong spot light handy. 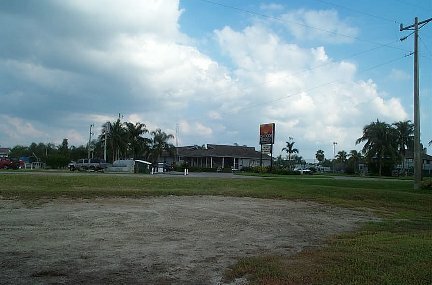 This is a regular city on the west coast of Florida with highway access. There is an article in the Sept/Nov 2000 issue of Paddler Magazine about Everglades City. The resort of choice in this area is Outdoor Resorts of America, Inc. located at the entrance to Chokoloskee Island. They have RV campsites and cabins along with full services. Their public restroom at the docks was the cleanest I've seen at a public spot in a long time. Their phone number is 1-941-695-2881. If you drop out at Everglades City, be sure to let the check in crew know. They will help you arrange for transportation back to Tampa Bay if you need it. You may have to stay at Everglades City a day or two (hopefully not more) for the transport to show up. 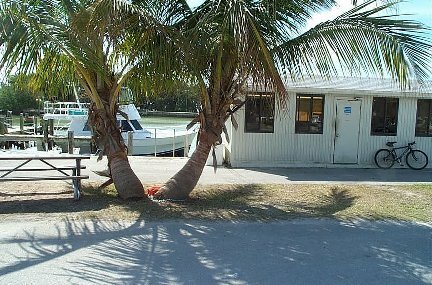 Fresh water is available at Everglades City as well as restaurants, convenience stores, and kayak outfitters. Your best bet is the hose at the canoe ramp at Park HQ or the hose at the docks of Outdoor Resorts or the convenience stores at both locations. Beware however that availability of bottled water at these two convenience stores is not guaranteed. There are other stores in the area within about a 1 mile radius at both locations. The hoses will be easily accessible, but I recommend that you filter all water from hoses -- if only for taste. 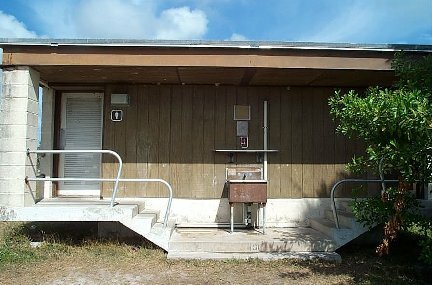 This is the North Headquarters of Everglades Park. If you are taking the inside route, you must register with the park rangers. If you are taking the outside route, you may have to register with the park rangers. 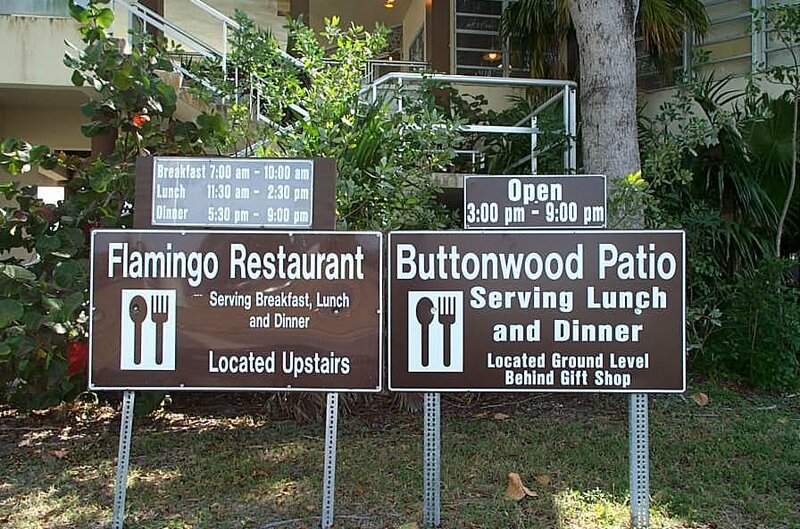 It depends on whether or not you intend to camp on the way to Flamingo. 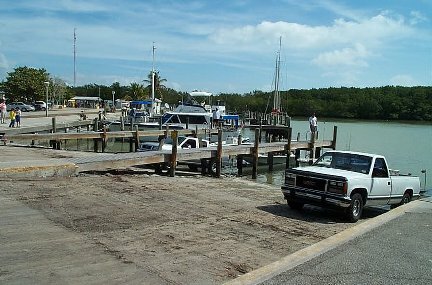 When you reach Everglades City, you are about to enter the Everglades National Park. You must follow all park rules and regulations. Depending on your chosen course (inside or outside) and whether you will have to camp on the way to Flamingo will determine if you must obtain a Wilderness Permit . This is entirely up to you and your decisions about your best course. 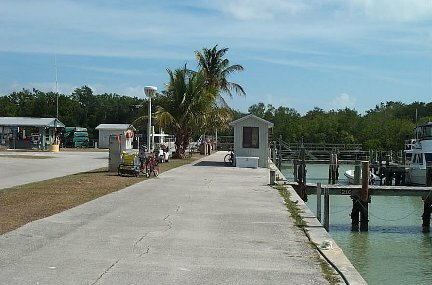 You will have to get your permit when you arrive at the Everglades City/Chokoloskee checkpoint. They are open normal business hours so you may decide to check in first and then go to the ranger station or the other way around. It depends on what time you arrive. In most cases, the outside route will be faster, but your open water skills must be up to the challenge. This is during the busy season so have two or three alternate sites in mind for your camping permit. If you don't get a camping permit, you are not supposed to camp. However, there is no rule that I know of that prevents you from stopping for a snack or a break. DO NOT camp without a permit. Our race IS NOT approved or sanctioned by the park. They couldn't care less that you are in a race. In fact, they may get alarmed if you bring it up. We aren't doing anything illegal by paddling or sailing through as fast as we can, but DO NOT expect any favors from the park. The best course of action is DO NOT mention the race. Here is my plan. I am going to purchase a Wilderness Permit and pick a campsite roughly half way to Flamingo. If I can't get one half way, my backup is going to be any campsite on Cape Sable. Then along the way I will take a break when I need it. A hammock in the mangroves for a few hours won't bother anybody. No worries. Remember to practice the Leave No Trace principles during this race and especially while in the park. The Everglades National Park is a unique treasure that we must help preserve. 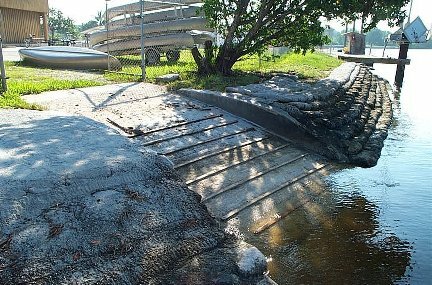 This is the "canoe ramp" at the Everglades City Park Headquarters. Concrete with some wood slats. Nice huh? You must come here if you will be camping along the way to Flamingo. NOTE: This is not the checkpoint. The checkpoint is at Chokoloskee. See below. 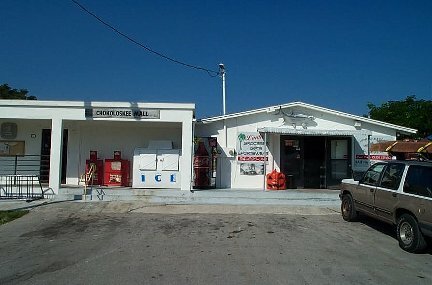 If you need significant food or services, you might consider stopping here and walking into Everglades city. If you just need convenience store items, please buy from the resort at the actual checkpoint in Chokoloskee. Indian Key Pass is a well marked channel. Just before you get to the Barron River make a hard right turn and you can't miss the Park marina. They have a SMALL convenience store and not much else. About 1 mile into town or so you will find a grocery store. Not a big super market but some supplies available. This is your best bet if you need anything serious. There is a hose at the canoe ramp for fresh water. I recommend a filter if you are particular about taste. 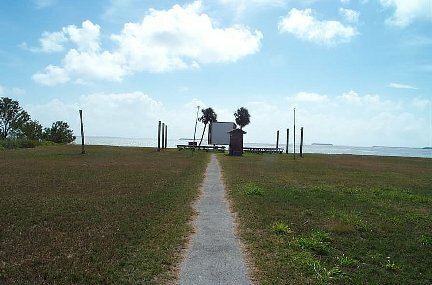 Roughly 3 miles along the causeway you will come to Chokoloskee Island. You can't miss it on the chart. This is your official race checkpoint. The Chokoloskee check point is at the Outdoor Resorts of America located at the entrance to Chokoloskee Island. You will land on the beach on the west side of the causeway. The resort is located on the other side of the road a stones throw from the beach. Check in with the person running the office. Get your passport signed and make sure your time of arrival is noted on the checkpoint log. Remember to click on each photo for a larger view. The view of the Chokoloskee check point from the water. Business hours are 6AM to 6PM. IMPORTANT: WASH the mud off the first thing you do so you don't mess up the resort. Do this at the far left end of the docks. 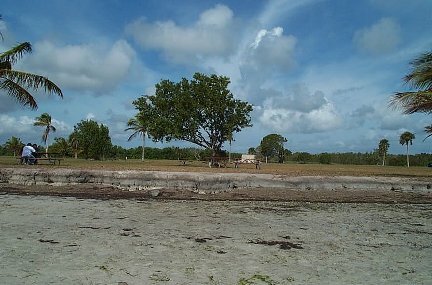 The view of the beach after you land at the Chokoloskee check point. Note that the grass just above the beach will be filled with cars and boat trailers during the race. This picture was taken in the off season. On the left side of the beach where the mangroves stop is a little deeper water. It might make your path through the mud a bit shorter. Note the mud trail if you land at low tide and have to pull your boat across the mud. Chokoloskee Mall. Does this give you an idea about the amount of food and other services available? Less than 1 mile from the checkpoint. The resort has a small convenience store but if they don't have what you need the store shown above is just a bit bigger. Don't expect too much. A larger store is about 3 miles away. Some different views of the lockbox location. The picnic table is on the dock/ parking lot. All the hoses are city water but you may want to filter just for taste. 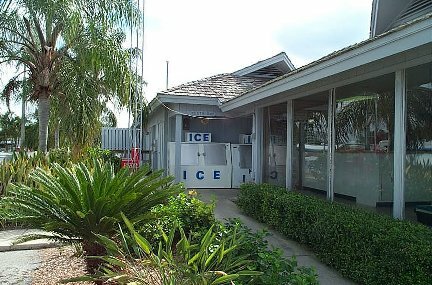 The restrooms are in the breeze way by the ice machine. Be sure you have rinsed off any mud before you go in. Keep the restroom clean so we can use this checkpoint again next year. Please buy as much as you can from their convenience store. This resort has been very helpful and they are doing it free of charge. The Outdoors Resort at Chokoloskee offers a small convenience store, water, showers, laundry, and an enthusiastic manager, Kenny Brown. The people of Chokoloskee were very friendly and curious about our race. They like kayakers here. There is no tent camping so if you want to spend the night, you will have to reserve a room. Call 1-941-695-2881 ASAP if you will want to stay here for a night when you check in. This is a very popular area during March. This is a very nice resort and I was amazed at how clean their rest room was when I visited. Note that tent camping in this area has been driven out by RVs. Most snowbirds come down for several months in the winter and there just isn't room for tents. However, Pavilion Key and other NP camp sites are fairly close. If you absolutely MUST tent camp at this checkpoint, your best bet MIGHT be to find a secluded spot along the causeway and practice a little stealth camping. I have slung my hammock next to their canoe landing. Roughly 60 miles along the coast from Indian Key Pass you will come to Cape Sable. A few miles around the point and you will find Flamingo. 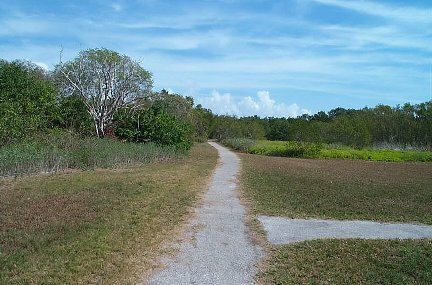 This is the Southern campground in the Everglades Park. You're almost home free at this point. The nightmare of Everglades City is behind you and you can almost hear me partying in Key Largo. Tide is always a factor in a small boat. The tide can be even more difficult here because there are so many factors that enter into it. Fresh water flow from the glades, Atlantic flow, Gulf flow, wind, pressure, channels. The area is very shallow. You really must get chart 33E. I plan to pitch my hammock somewhere between Middle Cape and Clubhouse beach and take a nap until the time is right. You've looked at the chart and noted the shallow water. Right? Even bigger boats are cruising these waters so watch out. Some of them run at night with no lights. If you must travel at night, keep lots of lights going on your boat and keep a strong spot light handy. Flamingo is located on the southern tip of the Florida mainland with highway access. Much more info will follow within a few months. If you drop out at Flamingo, be sure to let the check in crew know. They will help you arrange for transportation to Key Largo. You may have to stay at Flamingo a day or two (hopefully not more) for the transport to show up. Fresh water is available at Flamingo as well as a restaurant, convenience store, boat ramp, campground and hotel. The restrooms at the tent camping area are disgusting. I hope each one of you writes a letter to the park service to complain. Why are the restrooms in the RV are OK? Are they trying to phase out the tent camping area? The Orange Lock Box containing your check in logs in chained to a palm tree in front of the Dockmaster's house at the Marina/Store area. You can see the lock between fresh water and salt water as you paddle down the channel from either side. Line up all the numbers on the black line. The same combination is used for all check points. IMPORTANT -- After you log in, you must lock the box. Be sure to hold the clasp into the lock and the SPIN the dial. If you do not spin the dial while holding in the clasp, the lock will be open. Check it before you leave. If you navigate to this Lat/Lon from the water, you will run into the basin concrete wall. Instead, navigate to the canoe landings or the campsite and then find the box. NOTE: The rangers have the combination and could decide to move the box. If you can't find the box, ask the Dockmaster. It could even be in their office. This is a floating dock on the fresh water side of the lock. You can camp in the Everglades Park campground. You must make your own arrangements. This is the last campsite on the east end of the camping area. It is close to the outdoor theater which is a good marker to look for as you paddle down the channel. The rangers refer to this area as the group camp site. If you haven't already phoned for your Everglades Wilderness Trip Planner, you better do so ASAP. Click on each picture for a larger view. A view of the group camp from the water. There are only a few trees. The beach is firm but slimy mud with about a 2' bank. Note that no reservations have been made. Another group could be here. The Lat/Lon given earlier is right under this tree. The outdoor theater near the group camp. The screen can be seen from the water once you are in the channel. This is the trail behind the outdoor theater. If you take the right hand turn you would see the previous picture. 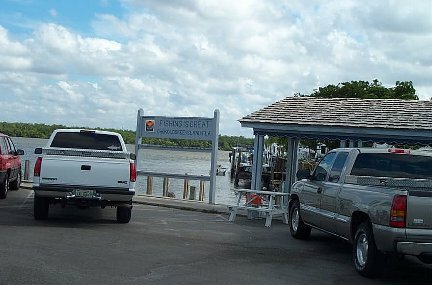 If you go straight ahead you will find the visitor's center, restaurant, marina, and the lock box. It's about 15-20 minutes walking time. Restaurant hours of operation. I haven't tried it. Nice t-shirts and stuff in the gift shop if you are looking for presents. 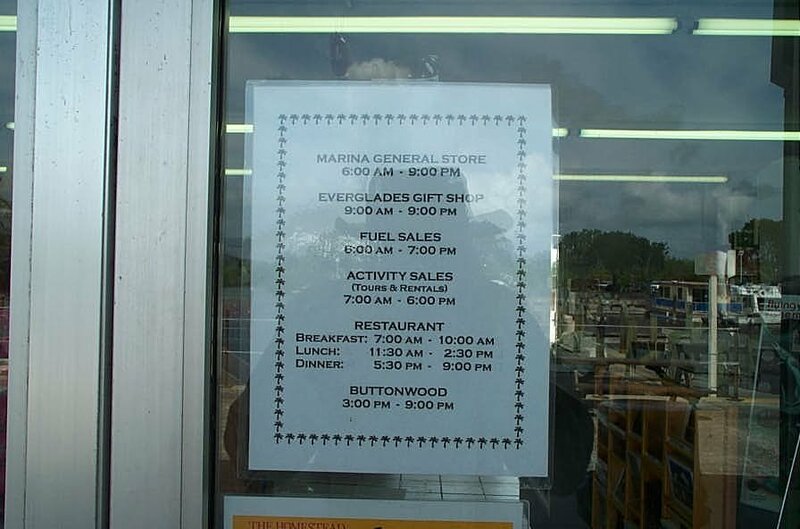 Marina and store hours of operation. It is a fairly well stocked store and even has some fresh vegetables and fruit. Lots of water. Much better stock than Everglades city. Probably because the workers live out here and the nearest regular store is ~ 40 miles. But don't expect a super market. The canoe landing on the bay side. Another landing is on the freshwater side. A portage will be required if you take the inland route. NOTE the roller on the end of the landing. If you use it to pull your boat out and the ends each have 100 pounds of gear, your boat could crack. Thanks to Hellbender for that tip. 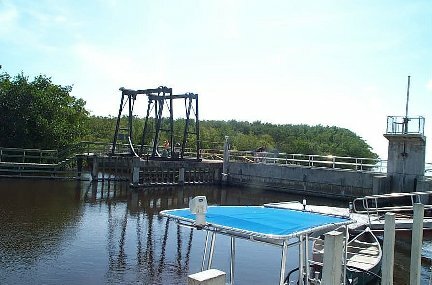 A view of the lock from the fresh water side. You can just make out the canoe landing behind the boat top. Don't even think about using the lock. 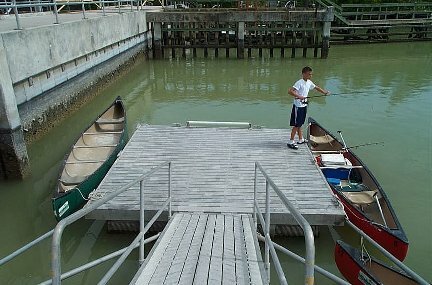 NOTE: Both landings are used by a commercial canoeing company. If you see them loading or unloading paddlers, defer to them. Wait your turn or you can use the motor boat landings -- one on each side of the lock. Motor boat ramps. One on each side of the lock. If you use these ramps, your portage will be about 1/4 mile. If you use the canoe landings, your portage will be about 20 yards. A view of the water from the group camp site. Note the shallow bar in front of the camp. 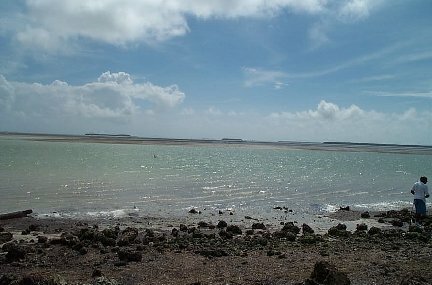 At low tide you may have to go past the camp site in the channel and then swing back in. You will have to read the water. If you walk to the marina from the campsite, this is the view looking at the Dockmaster's hut. If you look carefully, you may be able to see the orange lock box by the palm tree. If you land at the canoe dock, this is the view of the Dockmaster's hut. 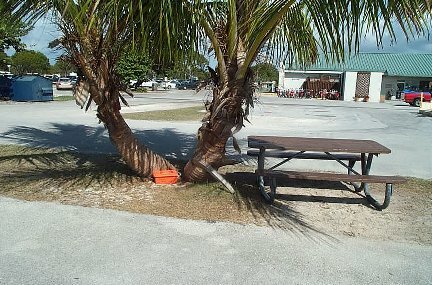 Note the orange box at the base of the palm tree. Beware that the Dockmaster could decide to move it. If it isn't here, ask the Dockmaster or find JohnnyG! 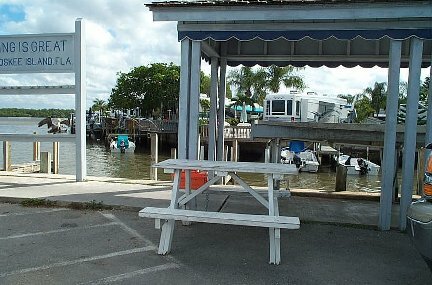 Here is a view of the Dockmaster's hut and the lock box from the Marina Store. The award ceremony will be on Saturday about 10:30 AM. The Award Dinner will begin right after awards are handed out. This will be roughly noon give or take a half hour. Activities in Key Largo include snorkeling, SCUBA diving, glass bottom boats, flats fishing, deep sea fishing, beaches, shopping, and more. There is plenty for your family to do while waiting for your arrival so book your room for the whole week in advance -- your family will thank you for it and you will be able to do this year after year. Rooms are limited so reserve early. It's the place to be. You must be a WaterTribe Member to register for an event. You must be a WaterTribe Member to register for an event or setup your SPOT Link. © Copyright 2000-2018 WaterTribe, Inc.